On March25, 2019, TIER REIT,Inc. (“TIER”) and Cousins Properties Incorporated (“Cousins”) issued a joint press release announcing the execution of an Agreement and Plan of Merger among TIER, Cousins, and Murphy Subsidiary Holdings Corporation, a wholly owned subsidiary of Cousins, to which, subject to the satisfaction or waiver of certain conditions, Cousins will acquire TIER. A copy of the press release is attached hereto as Exhibit99.1 to this Current Report on Form8-K and incorporated herein by reference. real estate investment trust status, (vi)availability of financing and capital, (vii)changes in demand for developed properties, (viii)risks associated with achieving expected revenue synergies or cost savings, (ix)risks associated with the ability to consummate the transaction and the timing of the closing of the transaction, (x)the ability to successfully integrate our operations and employees following the closing of the transaction, (xi)material changes in the dividend rates on securities or the ability to pay dividends on common shares or other securities, (xii)potential changes to tax legislation, (xiii)adverse changes in financial condition of joint venture partner(s)or major tenants, (xiv)risks associated with the acquisition, development, expansion, leasing and management of properties, (xv)the potential impact of announcement of the proposed transaction or consummation of the proposed transaction on relationships, including with tenants, employees and customers; the unfavorable outcome of any legal proceedings that have been or may be instituted against Cousins or TIER, (xvi)significant costs related to uninsured losses, condemnation, or environmental issues, (xvii)the ability to retain key personnel, (xviii)the amount of the costs, fees, expenses and charges related to the proposed transaction and the actual terms of the financings that may be obtained in connection with the proposed transaction, and (xix)those additional risks and factors discussed in reports filed with the U.S. Securities and Exchange Commission (“SEC”) by Cousins and TIER from time to time, including those discussed under the heading “Risk Factors” in their respective most recently filed reports on Form10-K and 10-Q. Except to the extent required by applicable law or regulation, each of Cousins and TIER disclaims any duty to update any forward-looking statements contained in this Current Report on Form8-K or to otherwise update any of the above-referenced factors. In connection with the proposed transaction, Cousins will file with the SEC a registration statement on FormS-4 to register the shares of Cousins common stock to be issued in connection with the merger. The registration statement will include a joint proxy statement/prospectus which will be sent to the stockholders of Cousins and TIER seeking their approval of their respective transaction-related proposals. INVESTORS AND SECURITY HOLDERS ARE URGED TO READ THE REGISTRATION STATEMENT ON FORMS-4 AND THE RELATED JOINT PROXY STATEMENT/PROSPECTUS, AS WELL AS ANY AMENDMENTS OR SUPPLEMENTS TO THOSE DOCUMENTS AND ANY OTHER RELEVANT DOCUMENTS TO BE FILED WITH THE SEC IN CONNECTION WITH THE PROPOSED MERGER, WHEN THEY BECOME AVAILABLE, BECAUSE THEY WILL CONTAIN IMPORTANT INFORMATION ABOUT COUSINS, TIER AND THE PROPOSED TRANSACTION. Investors and security holders may obtain copies of these documents free of charge through the website maintained by the SEC at www.sec.gov or from Cousins at its website, www.cousins.com, or from TIER at its website, www.tierreit.com. Documents filed with the SEC by Cousins will be available free of charge by accessing Cousins’ website at www.cousins.com under the heading “Investor Relations”, or, alternatively, by directing a request by telephone or mail to Cousins at 3344 Peachtree Road NE, Suite1800, Atlanta, GA 30326, and documents filed with the SEC by TIER will be available free of charge by accessing TIER’s website at www.tierreit.com under the heading “Investor Relations” or, alternatively, by directing a request by telephone or mail to TIER at 5950 Sherry Lane, Suite700, Dallas, Texas 75225. Cousins and TIER and certain of their respective directors and executive officers and other members of management and employees may be deemed to be participants in the solicitation of proxies from the stockholders of TIER and Cousins in respect of the proposed transaction under the rulesof the SEC. Information about TIER’s directors and executive officers is available in TIER’s proxy statement dated April9, 2018 for its 2018 Annual Meeting of Stockholders, and certain of its Current Reports on Form8-K. Information about Cousins’ directors and executive officers is available in Cousins’ proxy statement dated March14, 2019 for its 2019 Annual Meeting of Stockholders, and certain of its Current Reports on Form8-K. Other information regarding the participants in the proxy solicitation and a description of their direct and indirect interests, by security holdings or otherwise, will be contained in the joint proxy statement/prospectus and other relevant materials to be filed with the SEC regarding the merger when they become available. Investors should read the joint proxy statement/prospectus carefully when it becomes available before making any voting or investment decisions. You may obtain free copies of these documents from TIER or Cousins using the sources indicated above. 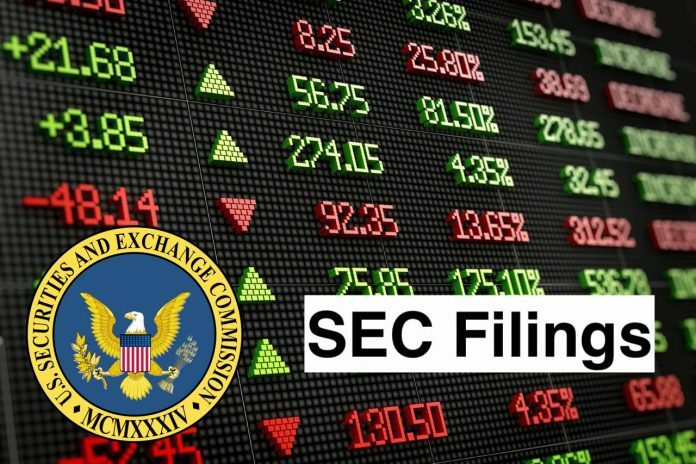 This Current Report on Form8-K shall not constitute an offer to sell or the solicitation of an offer to buy any securities, nor shall there be any sale of securities in any jurisdiction in which such offer, solicitation or sale would be unlawful prior to registration or qualification under the securities laws of any such jurisdiction. No offering of securities shall be made except by means of a prospectus meeting the requirements of Section10 of the Securities Act of 1933, as amended. Item 8.01 Financial Statements and Exhibits. Joint Press Release, dated March25, 2019.